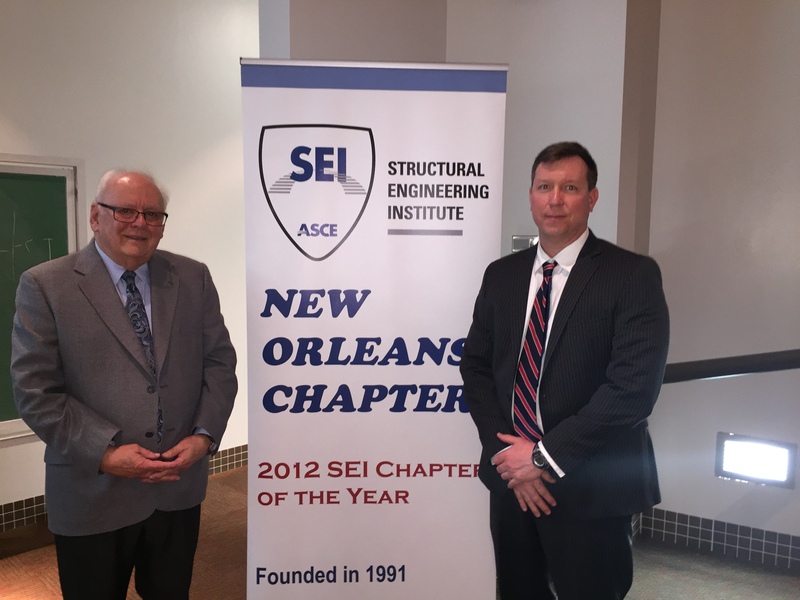 SEI NO Chapter invited Dr. Richard J. Hartman, PE (Owner, Hartman Engineering, Clarence, New York) to discuss “Considerations for Sheet Piling Projects” in seminar on March 7, 2018.. The presentation addressed two topics. The first was considerations related to bolts used to connect wales and sheet piling in bulkheads. The second was considerations related to selection of sheet piling sections for projects. Dr. Hartman discussed two cases involving failure of bolts in bulkheads, one in Pennsylvania and one in Texas. The causes of the failures were discussed and recommendations for future designs were also provided. The seminar was attended by about 63 attendees.